If you’re looking for the best private health insurance Queensland has to offer, you’ve come to the right place. We help you better understand which options are available to you and how to go about getting the cheapest cover at the best price. As the health insurance market in Australian varies between state and premiums are loosely based on the residents’ needs, demographics and health profile, you might benefit more when choosing a policy specific to your region. QLD offers locals a large network of health facilities, including 276 hospitals. The health insurance companies operating in your region gives you the option to choose between Hospital, Extras and Combined Hospital and Extras cover. Hospital Cover pays for hospital-related procedures performed in a public or private hospital, while Extras cover generally pays for health needs that Medicare does not cover, for example, most dentistry, optical and weight loss programs. Recently, health insurance premiums throughout Australia has risen close to 5%. As a family living in Queensland, you can expect to pay an average of $6,378.54 annually for Hospital & Extras Health Insurance Cover. Instead of being discouraged by the rising costs, this might be the ideal time for you to review your current policy and see what else is available. If you do not yet have health insurance, you might want to start considering your options. Information represented in the table below is based on the results for a single adult, without dependents, purchasing the most affordable combined hospital and extras policy. Queensland Country Health Public Hospital with Extras $250 to $500 $146.35 Their most basic option covers the cost of treatment received in a public hospital, including major eye surgery and assisted reproductive services. 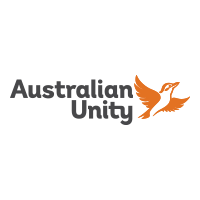 Australian Unity Basic Saver $500 $112.25 Covers you for joint reconstruction and emergency ambulance transportation, as well as general dental, physiotherapy and dietetics. Medibank Everyday Essentials $250 $120.90 Benefits towards overnight and same day accommodation in a shared room are paid for when receiving treatment as a private patient in a public hospital. 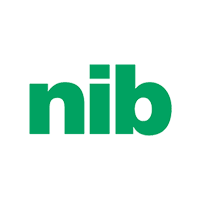 nib Kickstarter Plus $500 $108.33 Only provides private hospital cover for nibs Accidental Injury Benefit and includes extras like general dental, chiropractic and physiotherapy. Nurses and Midwives Starterpak $0 $119.80 Combines basic Hospital and Extras cover exclusive to the nursing and midwifery community. Includes your choice of doctor, access gap cover and general dental and optical. Police Health Platinum Health $0 $327.20 Combines Top Hospital and SureCover Extras for current employees of a State, Territory or Federal police department. There are no exclusions, excesses or daily co-payments. Teachers Health Fund Starterpak $0 $97.20 100% owned by its members. Profits go straight back into offering better products and services for the education community. Covers the cost of hernia removal, accidents, as well as dental and optical. Exclusions and waiting periods form an integral part of every health insurance policy. 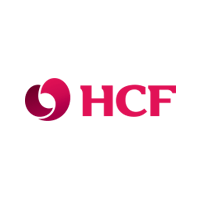 Their function is to prevent people from merely upgrading or purchasing a policy to get hospital insurance for an immediate health concern and then cancelling once the treatment has been completed. This will result in higher premiums for everyone. 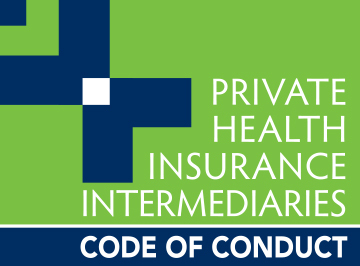 Having an exclusion means you will not be covered for treatment as a private patient in a public or private hospital for the conditions mentioned in the terms and conditions of your policy. For example, if your policy excludes cardiac services and you need coronary artery bypass surgery, your policy will not pay anything towards your hospital and medical costs. Exclusions vary from insurer to insurer, so be sure you carefully read through your policy disclosure statement. Waiting periods refer to the length of time you need to wait before you can claim for services. These periods differ between policies, so you need to familiarise yourself with the terms and conditions of your policy to determine how it will affect you. Take note; a waiting period might not apply if you transfer from one health insurer to another of similar value. The maximum waiting period that can be imposed are set out by the government. Below is a general list of waiting periods adopted by most health funds. Pre-existing conditions: Any illness, ailment or conditions that you had 6 months before joining. Pregnancy: You generally need to have had your policy for 12 months before getting pregnant. Benefits for optical items, like glasses and contact lenses. Psychiatric, Rehabilitative and Palliative Care. This includes eating disorders, post-natal depression, drug and alcohol rehabilitation. What are levies and how do they work? A levy is a fee you are required to pay to a governing body when you’re single and earn $90,000 or more and $180,000 or above for couples and families. You are required to pay a levy of 1 – 1.5% of your annual income to the Australian government. This is known as the Medicare Levy Surcharge (MLS) and applies to you if you do not have private health insurance. Your MLS rate is dependant on your income and age, but can be avoided when purchasing private health insurance as this alleviates demand on the public health care system. What is a private health insurance rebate and how can I claim? A private health insurance rebate is the amount the Australian government contributes toward the cost of your health insurance premiums. It is introduced as a financial incentive to help Australians more easily afford private health cover. The amount you are entitled to receive depends on three things: 1. your private health policy, 2. your income and 3. the age of the oldest person on your policy. As ongoing reduction of your premiums. Paying less on your annual tax. Are ambulance services covered in Queensland? Yes, ambulance services, including emergency pre-hospital treatment and transport fees are covered for all permanent resident in Queensland. You receive ambulance coverage anywhere in Australia and if you are sent an invoice for these services, simply forward it to the Queensland Ambulance Service (QAS) for payment. Are there free dental services available in QLD? With a better understanding of what is available, make sure you compare your health insurance options in detail so you can get the best level of cover at the most affordable price. My husband (an Australian citizen) and I (a US citizen) are both retired and planning a move to Australia as soon as my Permanent Residency Visa is approved. We expect to move to Queensland (Brisbane area) sometime in the first six months of 2019. We want to sign up for insurance, including private coverage. 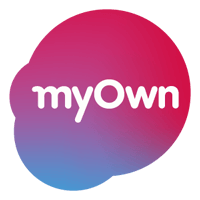 Can we set this up before we move (as soon as we have a moving date) so that we have coverage as soon as we are living in Australia? My husband has had insurance continuously through his employers throughout his adult life and for the last year through US Medicare. He has been in the US since 2001. I have been covered through individual policies, through my parents, through employers and for the last two years through US Medicare, with a period of approximately 1-2 years where I was not insured either because I couldn’t afford it or because I could not obtain coverage. How does the fact that we have been insured outside Australia affect our ability to obtain coverage in Australia and the cost of that coverage? Thanks for your question. You generally should apply for private health insurance before moving to Australia and can request the date you want cover to start. Having had insurance outside of Australia will typically not influence your ability to obtain coverage. However, because your husband is an Australian citizen, he might be subject to the lifetime health cover loading. The cost of coverage usually depends on the level of cover you want, your age and the state you live in. When you’re ready please fill in the quote form above and a specialist will assist you in finding the right cover for your specific requirements or give us a call on 1300 786 328. Hi. It would have been most helpful to know what percentage of rebate is returned on even extras cover item numbers. This is the main area of interest in most people’s choices. Do u have a link to such pertinent info? Thank you. ComparingExpert and our team of consultants are not tax specialists. Please contact your accountant or a tax professional regarding specifics surrounding your rebate. For a quick overview regarding how the health insurance rebate works, please have a read of our rebate article. For more information on claiming your rebate, please visit the Australian Taxation Office website and have a read of Private health insurance rebate.